Skoda's new Kodiaq could be suitable for the U.S. market. The seven-seat SUV was previewed by the Vision S concept (shown) at the Geneva auto show in March. FRANKFURT -- Volkswagen Group's Skoda unit is considering whether to sell cars in the U.S. where its parent is mired in a diesel emissions scandal. A Skoda spokesman said the Czech value brand is examining the potential of markets where it is not yet present. "That includes North America," the spokesman told Automotive News Europe. No decision has been taken, he said. Skoda has filed several trademarks at the U.S. Patent and Trademark Office, the spokesman said. Media reports earlier this month said the brand has filed to protect in the U.S. the names of the Superb sedan, Octavia hatchback and Yeti small SUV. Once a byword for Communist-era shoddy workmanship, Skoda has thrived during VW Group's 25 years of ownership. Its cars, which are all underpinned by VW Group's technology, have won praise for high build quality and functionality. Skoda's vehicles sell well in markets as diverse as China and Germany but economic collapse in the once key market of Russia has left the brand needing new markets. "In the past our focus was on the European market and our path to growth was in China. Now we are discussing the next step for the brand," the spokesman said. Skoda began selling cars in China in 2007. "You cannot compare our market entry into China, an emerging market characterized by gigantic growth rates, with an established, saturated one such as the U.S.. The business cases for the two are totally different," the spokesman said. Analysts are divided on whether Skoda would be successful in the U.S.
"Skoda could be the cheapest solution" to VW Group's American problems, he told the German business paper Handelsblatt. However, Frank Schwope, an analyst with NordLB, expressed doubts. Skoda lacks vehicles popular in the U.S. such as pickups and large SUVs in its current lineup, he said. The market is also saturated and vehicle sales are likely to fall in the coming years, he told Reuters. Skoda's global vehicle sales were up 4.3 percent to 276,600 vehicles in the first quarter. Its operating profit rose by just over 30 percent to 315 million euros, while its margin rose to 9.3 percent from 7.6 percent, better than the core VW brand, which barely broke even, and surpassing the 9.0 percent of VW Group premium brand Audi. 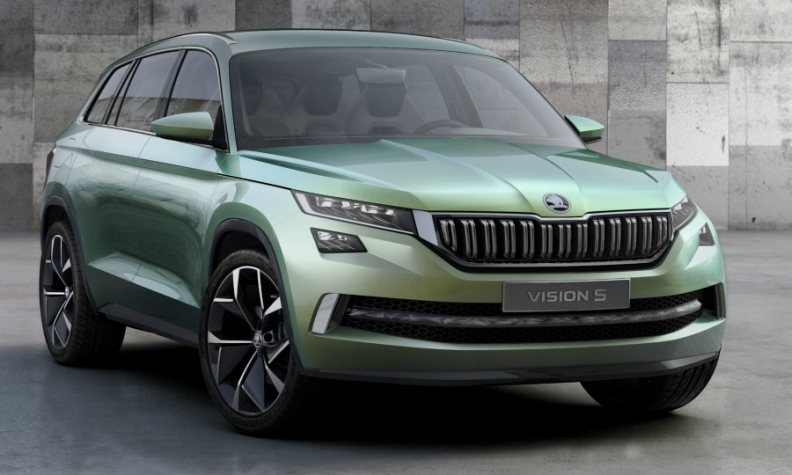 Skoda plans a product offensive in the next few years. Next year the brand will launch in Europe its first large SUV, a seven-seater that will be called the Kodiaq after a bear that lives on an island off Alaska. A foray into the United States would not be Skoda's first. In the late 1950s, long before VW fully acquired the company in 2000, the Czech brand started exporting its Felicia compact to North America before taking it off the market a few years later because of poor sales.